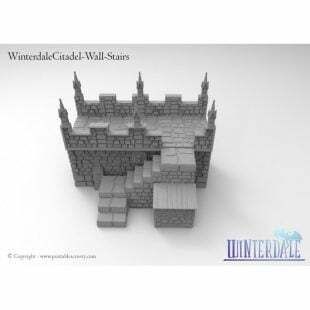 View cart “Octagon Castle Wall Pack” has been added to your cart. Water Mills in Winterdale are powered by ice blue mountain-fed rivers that run from the distant northern mountain ranges. 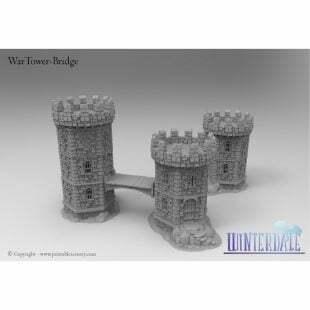 The Winterdale Water Mill is a large multipart model. Each part has been fitted with guide holes for easy assembly. There are two file packs included, one for large printers that can print 8-inch x 6-inch and the other is for small printers that can print 4-inch x 4 inches. 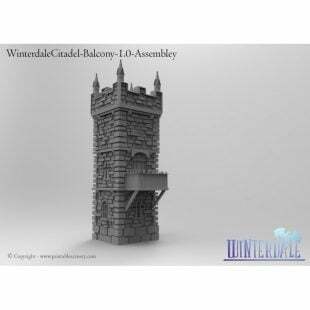 The Winterdale buildings are designed to be glued and placed together. 5.0 Is the first release. 27 April 2017 – 5.1 Includes Solid Mill. 17 July 2017 – 5.2 Contains WDMill5.0-A-basement-small. 27 July 2017 – 5.3 Small mesh repair to WDMill5.1-A-basement-BIG, WDMill5.1-A-story-BIG, WDMill5.1-A-entrance-holes, WDMill5.1-A-entrance-small, WDMill5.1-A-story-small, WDMill5.1-B-story-small, WDMill5.1-C-basement-small. Was wondering if it would be possible to get a one or two piece .stl file for buildings like this. 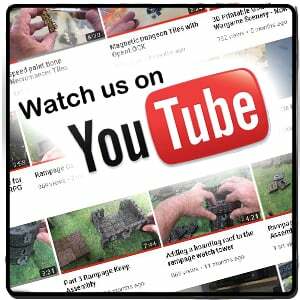 I am interested in using the Winterdale items for 10mm war gaming . I did do the math and can scale down the current files, but at this scale the interior detail is unnecessary because you would never “go in” a building at such small sizes. If possible I would just like to have the interior be infill. 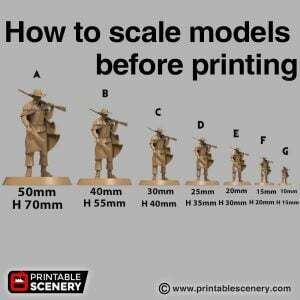 I can go through and make solid versions of the models like we have done with the Merchants. It Takes time but we can start working through them. the water mill in the sketch appear to be mounte over a hill or stone, there is a base in the STL? or something like it? After making the concept sketch, we realised that building the Mill on a hillside would be impractical for most wargames.